Currently, increasingly deeper neural networks have been applied to improve their accuracy. 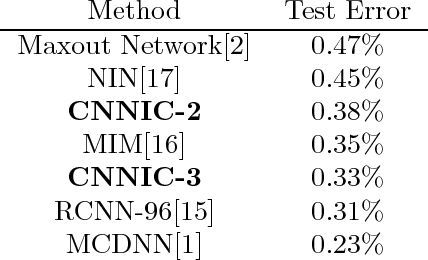 In contrast, We propose a novel wider Convolutional Neural Networks (CNN) architecture, motivated by the Multi-column Deep Neural Networks and the Network In Network(NIN), aiming for higher accuracy without input data transmutation. In our architecture, namely "CNN In Convolution"(CNNIC), a small CNN, instead of the original generalized liner model(GLM) based filters, is convoluted as kernel on the original image, serving as feature extracting layer of this networks. And further classifications are then carried out by a global average pooling layer and a softmax layer. Dropout and orthonormal initialization are applied to overcome training difficulties including slow convergence and over-fitting. 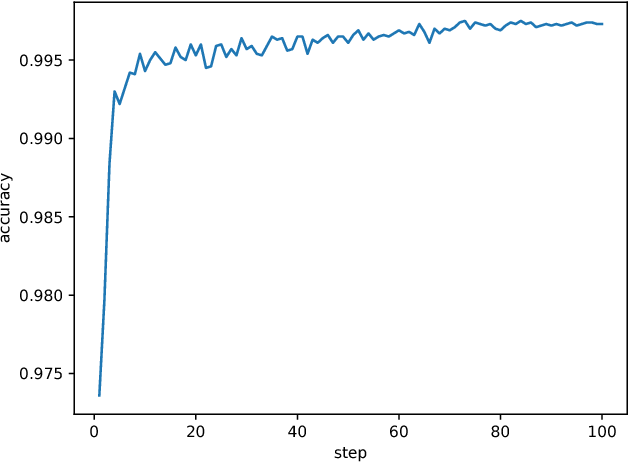 Persuasive classification performance is demonstrated on MNIST.